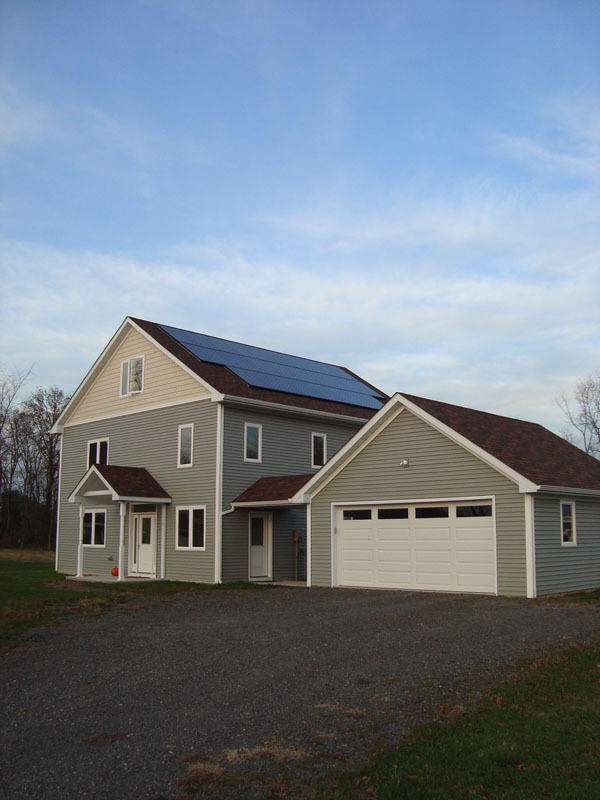 A resilient Net Zero home built in upstate New York, complete with technical detail. 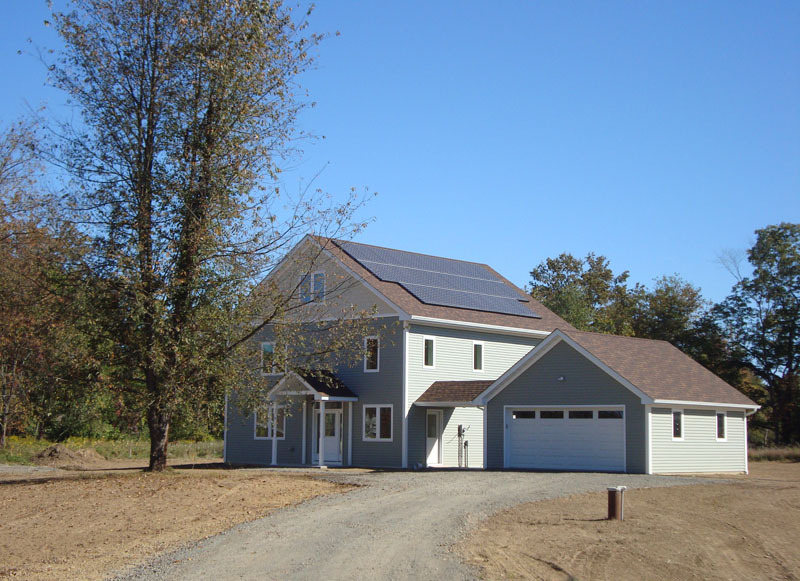 This home is one of nine similar homes constructed between 2013–2014 by Anthony Aebi of Greenhill Contracting, Inc. within The Preserve, the second of his Zero-Net Energy developments in New Paltz, New York. 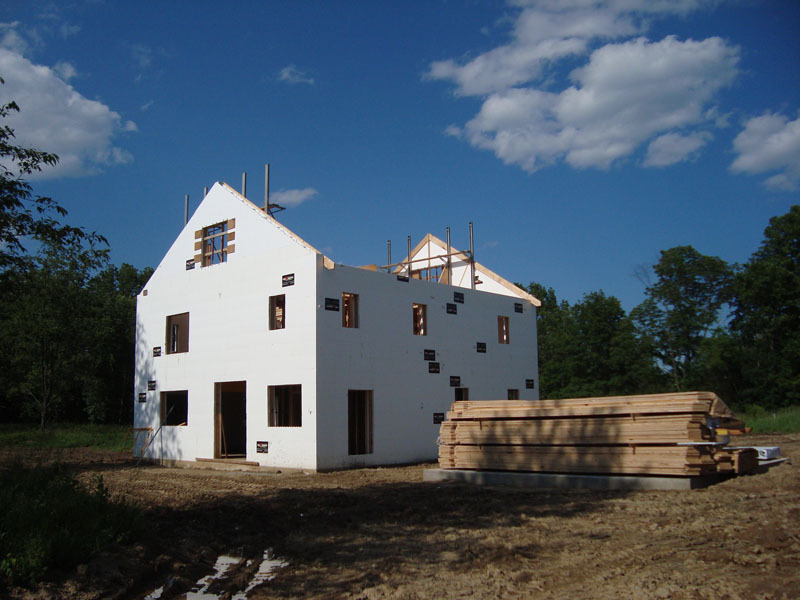 All nine homes were constructed with ICF walls, geothermal heating and cooling, twenty-eight solar panels, and an array of other energy and water-efficient features. 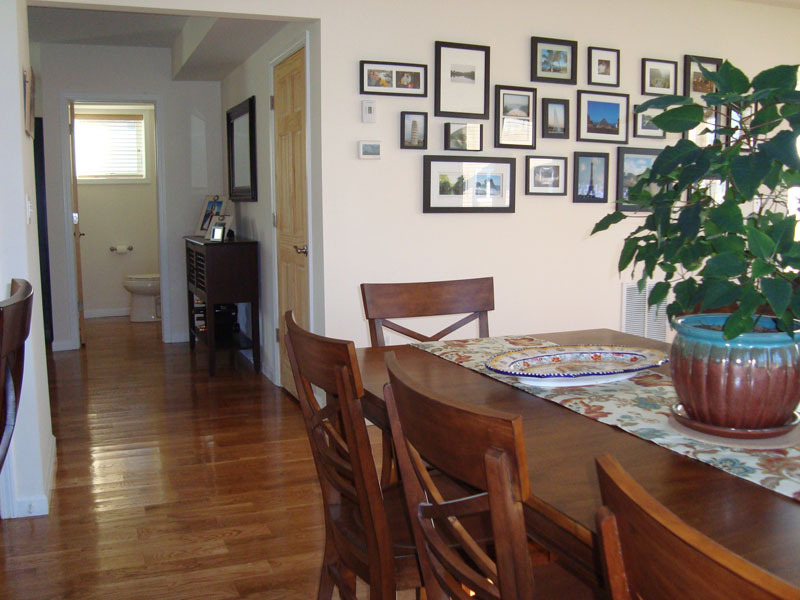 Additionally, all of the homes were certified for ENERGY STAR Homes, EPA Indoor airPLUS, DOE Zero Energy Ready, and USGBC LEED for Homes at the Silver Level. This development was created with the specific intention to appeal to consumers who could afford a reasonably-priced home in the Mid-Hudson Valley, and who were interested in maintaining a sustainable lifestyle by reducing energy consumption through proven technologies. One year from the date we moved into our home, we not only eliminated our energy consumption, but achieved a net “production” of 764 kWh- nearly 9% of the homes annual energy usage. 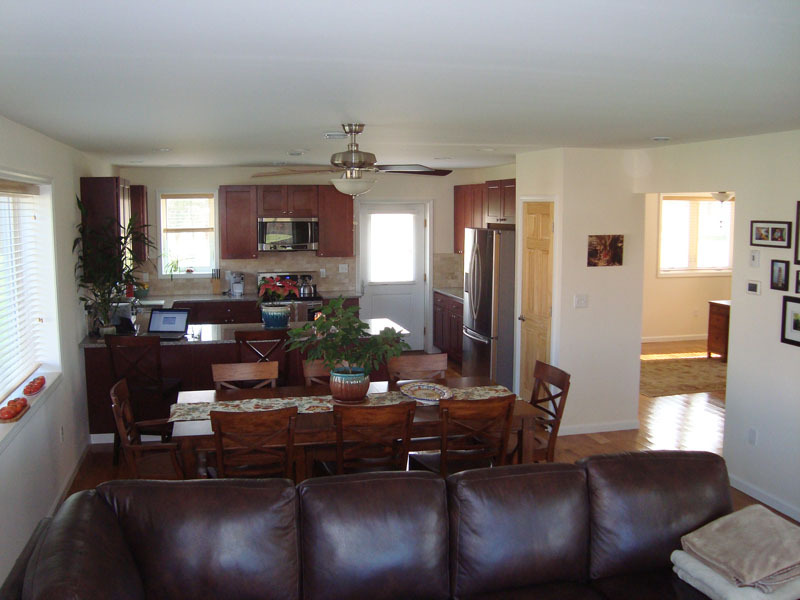 Our home was constructed simultaneously with the others and was pre-drafted in terms of layout, design, and interior specifications, which allowed for greater affordability due to many interior items (such as kitchen cabinets, countertops, flooring, molding, sinks, toilets, fixtures, etc.) purchased in quantity. The initial cost of the home was comparable to (and in some cases less than) similar properties in the region notwithstanding energy savings. The fact that all nine homes were constructed simultaneously within one year speaks directly to the ability to replicate this type of construction in a functional, efficient, and cost-effective manner. Building Zero-Net Energy homes is Anthony Aebi’s livelihood and vision for the future of residential development. Our interest in this technology and desire to purchase one of his homes was congruent with his strong personal motivation to enhance the quality of the planet by building energy-efficient housing. We desired to live as sustainably as possible without contributing to an already-polluted planet, and assigned a higher value to reducing our carbon footprint than saving money. The achievable outcome of zero energy costs for the life of our home was an added bonus. 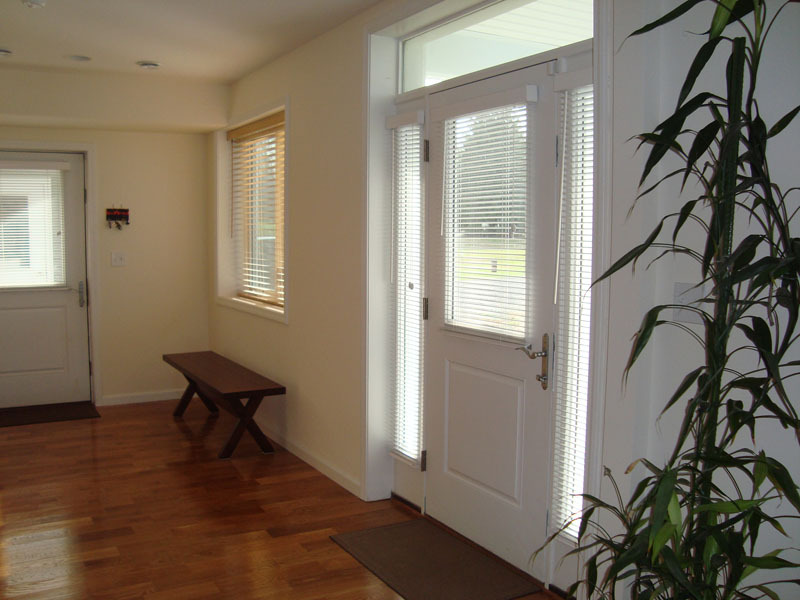 Aside from being a dwelling that is an “environmental ideal,” our home’s design, including open floor plan and large, triple-pane glass windows, creates a light-filled space that is both figuratively and literally warm and inviting. The geothermal and solar systems operate seamlessly and are quiet and user-friendly. 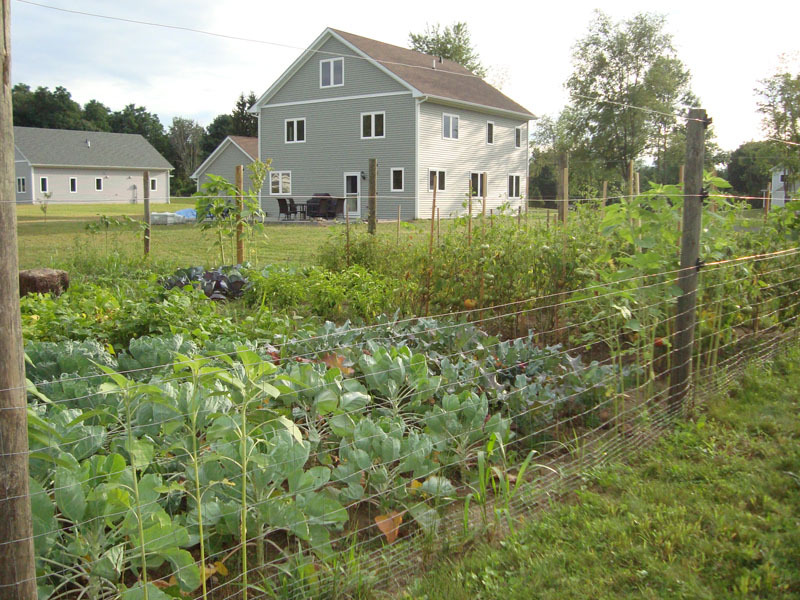 Our “green” neighborhood fosters greater awareness of our limited planetary resources, and thus our 25x40-foot vegetable garden (enclosed by a solar-powered electric fence) and composting ritual suits our desire to live as conscientiously and organically as possible. Further, the structural integrity of our home can withstand severe weather and geological events including cold winters in the Northeast, and is resilient enough to provide shelter for hundreds of years to come. Electric Utility: Central Hudson Gas & Electric Co.